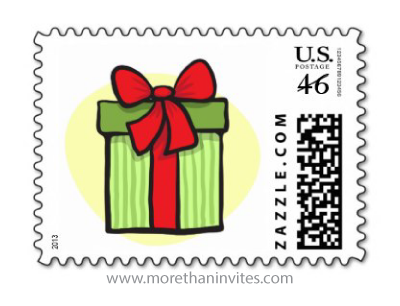 Fun Christmas postage stamp featuring a green gift box tied with a red ribbon. Cute postage for your Christmas cars. Coordinating return address labels are also available.